Image taken on January 14 by Goran Strand in Froson Sweden. “There was a light mist that made it possible to shoot right at the Sun without any filters,” says Strand. An active sunspot region let loose an M-class coronal mass ejection (CME) on January 14. Travelling Earth-wards at 1.6 million kilometers per hour, the CME is predicted to impact Earth on January 16. The CME is only of moderate strength and it will likely produce some colorful aurorae, but not much in the way of interference in either satellite systems or electrical grids. More CMEs and solar flares are expected from two sunspot regions that just turned into view of Earth. Space weather forecasters are keeping an eye on AR 11652 and AR 11654, the latter so large that it can be seen with the naked eye (carefully, of course). NOAA’s Space Weather Prediction Center is predicting a 60% chance of M-class and 5% chance of X-class solar flares for January 16. 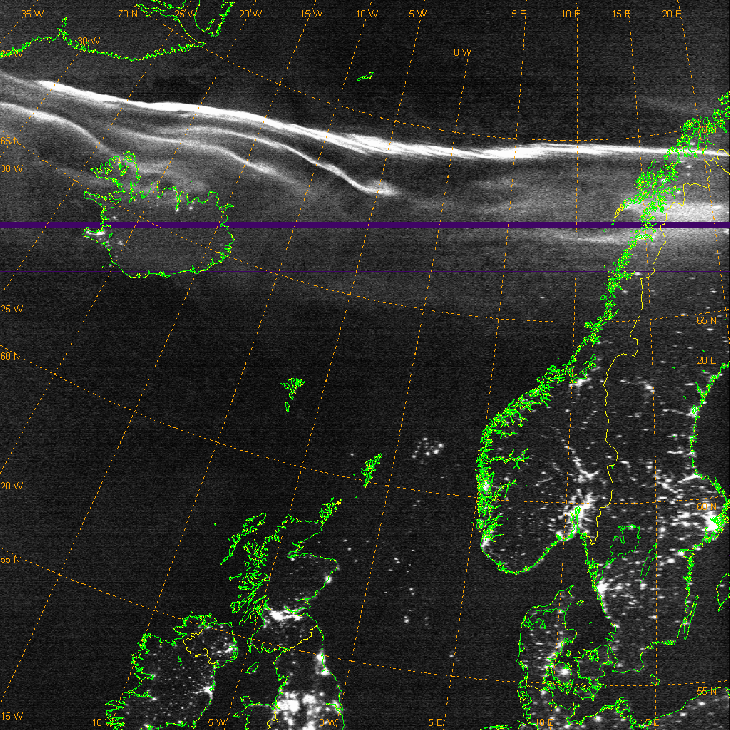 Below, an image from the low light camera aboard satellite DMSP-18 shows polar auroae floating above the lights of Northern Europe. Polar aurorae, electric lights, and oil rig gas flares as seen from the low-light camera on DMSP-18. 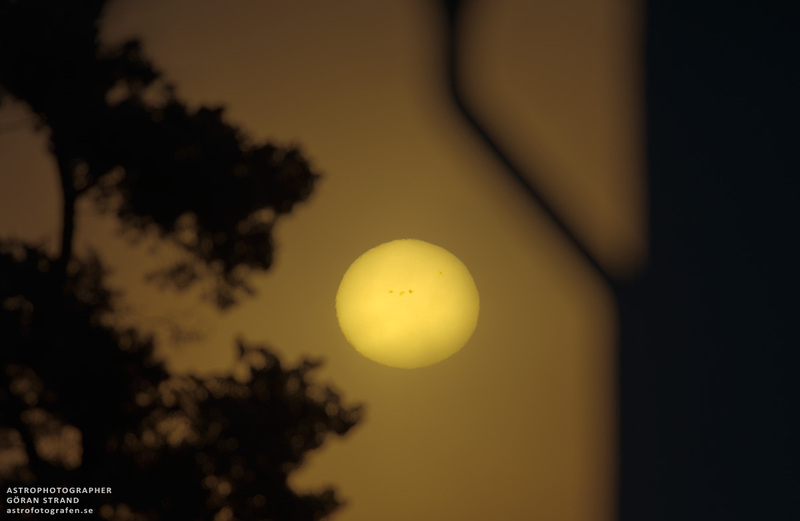 Image prepared by Mark Conner (Credits: US Air Force Weather Agency).